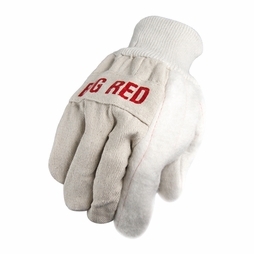 Red Steer Gloves--Quality Work Gloves at Great Prices! We have enjoyed a longstanding relationship with Red Steer Gloves. They're an Oregon-based company, and their warehouse is only about 15 minutes from ours. That means we can resupply quickly and stay on top of their latest offerings. 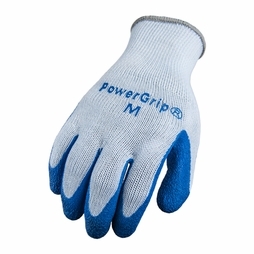 And with a glove company that has so many options, that is quite important. Chilly Grip Gloves--A Cold Weather Favorite! 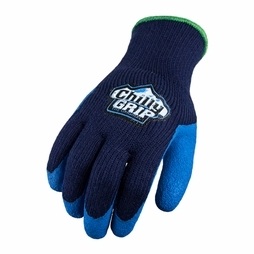 Aside from perhaps White Ox Logging Gloves, we really don't have a more popular glove that the Chilly Grip. It's a heavy-duty coated glove that comes in several sizes and styles. The original, classic model is the A311 Blue Chilly Grip. 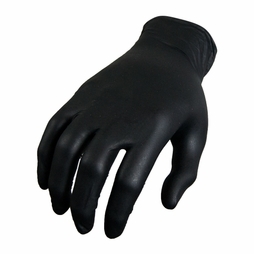 It has a heavy-duty, textured rubber palm with a knit liner that makes the glove comfortable yet still allows for dexterity. The A313 Camouflage Chilly Grip is the same glove, just with a cool, camo design that is a favorite for hunters. And if you need to keep your hands both warm and dry, then check out the new A323 H2O Chilly Grip, which has a 100% waterproof dip to wrist with a textured over dip to ensure grip on almost any surface, wet or dry. Although Red Steer might be best-known for their Chilly Grip series of gloves, they have other great options too. One such glove is the 170 Ironskin Hybrid Mechanic-Style Glove, which slips on easily and offers great dexterity and good general protection. 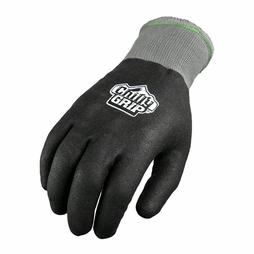 We recommend you try these gloves head-to-head with any other type of mechanic-style glove, and we think you will be quite happy. We use them in our shops and in our fleet, and they perform quite well. 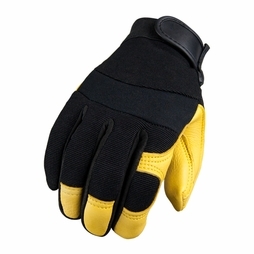 Another popular choice is the 1521 Deerskin Leather Mechanic-Style Glove, which is a popular model that has been selling for many years now. It features a premium grain deerskin palm, breathable spandex back and a Velcro wrist. If you're partial to the feel of leather, yet you want a glove that offers more dexterity than loose-fit leather gloves you've seen elsewhere, then we recommend you try this one. We find it makes for a comfortable driving and shooting glove as well.